Passengers have been caught in the middle of an increasingly bitter war between Southern Trains and the unions. This is the story behind an extraordinary breakdown in the rail service. If you’ve tried to get a train from the south coast to London in the past few months, the chances are you will have been delayed. Almost a quarter of Southern trains outside of London were cancelled or significantly delayed in June, while only 55% arrived near to their scheduled time. Passengers have been livid. Many can’t get home to pick up their children, while some have lost their jobs because they simply can’t guarantee they can get into work on time. At the government’s Transport Select Committee, Conservative MP Huw Merriman, who commutes every day from East Sussex to Westminster, brandished his £4,000 Southern season ticket as he boomed: "It’s unbearable for us all. "It’s causing absolute misery. We can’t get back to our families, we can’t get to work on time, I’ve missed appointments here, my constituents can’t get their children to school on time. You’ve got to bear responsibility for this, because you’re part of the solution." This week, Southern’s response to the struggles is to remove 341 trains a day from their timetables in an attempt to increase the reliability of the trains that they are running. So what has led to this collapse in the train service? An important aspect in why it has gone so terribly wrong is the unique contract Southern Trains is running under. Most rail franchises keep the revenue from fares, but Govia Thameslink Railway, Southern’s umbrella company, just runs the service and gives revenue directly to the Department for Transport. This has two important implications. Firstly, this means they don’t get fined when they cancel trains, as other franchises do. It’s the Department of Transport that shoulders the losses. Brighton Pavilion MP Caroline Lucas told LBC it was a no-risk contract, meaning "they are making cancellations far more complacently than another company would." Secondly, rail companies have traditionally avoided confrontation with staff as any strike will hit their profits. But with this special contract, it’s actually the government who loses money, which means Govia have been able to try to instigate ideological working practices without any concern for profits. And it is those ideological changes that have led to the industrial action. Southern Rail are keen to replace guards on trains with on-board supervisors. These positions would require less training - less cost, say the unions - and will no longer open and close the doors, with the driver taking over that responsibility. Govia insist that advances in technology mean a train's guard is no longer the vital role it once was and this method has proved successful elsewhere. But the unions insist the change will make the trains more dangerous, as only the driver would be in charge of passenger safety - two pairs of hands must be more reliable than one. 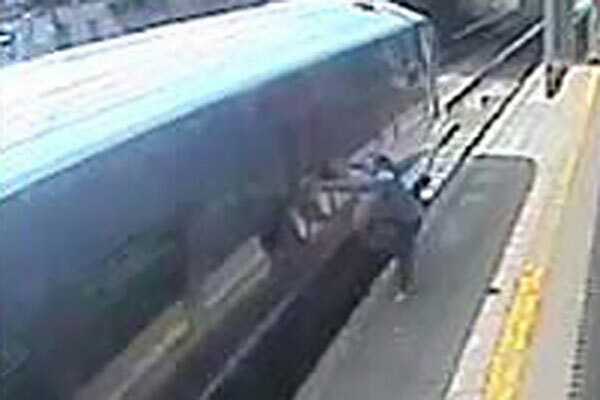 Indeed, the RMT insist the lack of a guard was a contributing factor in this incident in Hayes and Harlington in July last year, where a woman's hand was caught in the doors of a train. But experts have dismissed this concern. Driver-only trains have been approved by rail safety regulators and last month, the independent Rail Safety and Standards Board found driver-only trains pose no increased risk. The unions also claim it will lead to job losses, something Southern have guaranteed will not be the case. The increasingly bitter row led guards to stage three strikes, causing severe disruption across the network. But how did those strikes end up leading to the chaos that commuters that are currently suffering? The answer lies possibly in Govia's business model. It is estimated that they run on around 80% staffing level and rely on the rest being made up by staff working overtime. This is not unusual and can be seen as a more cost-effective way of staffing the railways, rather than full rotas where you actually have too many staff at certain times. But it only works if the staff want to work those overtime shifts. And in recent months, Southern simply haven't had the staff. Those workers claim that as a punishment for striking, they were banned from all overtime shifts, despite Southern's reliance on it to keep the service going. Caroline Lucas labelled that "preposterous". After initially denying it, Govia have admitted the overtime ban and quickly removed it. But staff say a ban on swapping shifts is still in place, meaning they are now unable to work around outside commitments. The train company say the reason for their struggles is the unprecedented number of staff calling in sick, claiming that unions are staging unofficial 'sickie' strike action. Paul Cox from the RMT told LBC that wasn’t the case, insisting the increase in sick days is down to the intense stress that guards are now under: "Your listeners have been misled that sickness has been a major contributing factor to the state of the current service. I refute that, it's absolutely untrue." It’s certainly conceivable that the shift-swapping ban has led to an increase in sick days. Staff may need to take additional time off in order to live their lives. The row shows no sign of abating. One Aslef official, Tim van Tinteren, has said: "It’s time to draw a line, dig the trenches and prepare for war." Meanwhile, Peter Wilkinson, the Managing Director of Passenger Services at the Department of Transport, told a public meeting: "They will have to decide if they want to give a good service or get the hell out of my industry." Commuters have been the victims of this war. In April, 84% of Southern’s trains arrived within five minutes of its scheduled time. That number slid down to 63% in June. Just 38% of those arrived on time. Following emergency meetings with the government, Southern’s response was to cut 341 trains every day. They claim this will ensure that the services they do run will be more reliable. Plus, with an already busy train service suddenly losing 15% of their trains, could there be the risk of overcrowding? And during what people hope will eventually be a hot British summer and with many trains with windows that don’t open, will that lead to health concerns for passengers? Twitter is full of commuters claiming that, even on warm days, the heating on the trains is still on. Ms Lucas has demanded the government strip Govia of the franchise. But the Department of Transport insist: "Changing the management is only going to delay the changes that are being made. It is not going to be in the passengers’ best interests to create more uncertainty and delay the improvements." So how is this stalemate going to end? At the Transport Select Committee, Govia’s CEO Charles Horton apologised profusely for the issues that passengers have faced. But he insisted that the change from guards to supervisors will still happen. And Mick Cash insisted the RMT would not be backing down on that issue. Both sides seem as far apart as ever… and the ones who will continue to suffer are the passengers.